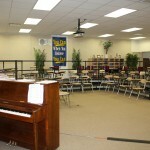 When the WorldStrides Heritage National Middle School Festival chose the J.R. King Academic and Performing Arts Academy’s Angelic Chorale to perform as the Featured Choir at world-famous Carnegie Hall in 2012, then-Vocal Music Director Annette Anderson predicted the experience would have a lifetime impact on the students. 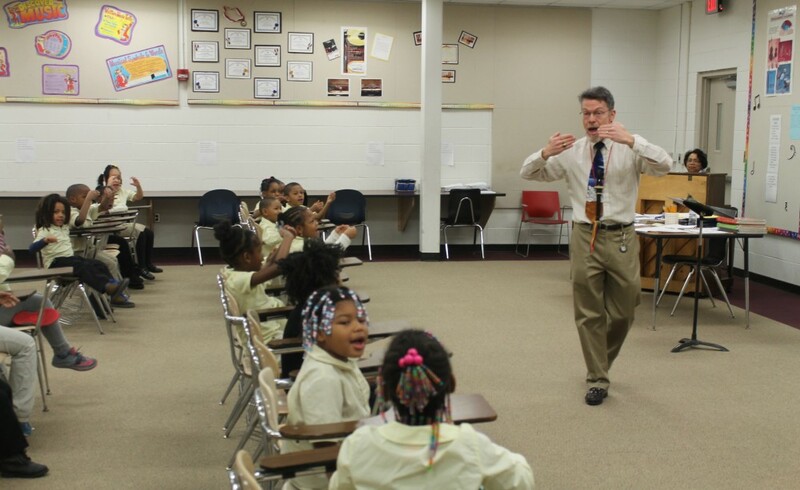 Long after the “rousing standing ovation that seemed to last forever” died down and the echo of the applause dissipated, that performance – and all the opportunities that led up to it – continue to impact the students of this pre-K-to-8 academy in northwest Detroit. Consider Carl Shazor, a retired new product development engineer from Ford Motor Co., who no longer has a child attending the school. But Shazor can be seen almost daily near the front door, offering words of encouragement to many of the 972 students so they start their school day interacting with a caring adult. Or in the office, assisting the principal with assorted tasks. Or mentoring students after school. 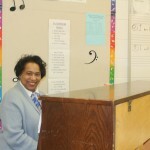 Shazor’s daughter, Destiny, was one of the nearly two dozen students who played at Carnegie Hall. 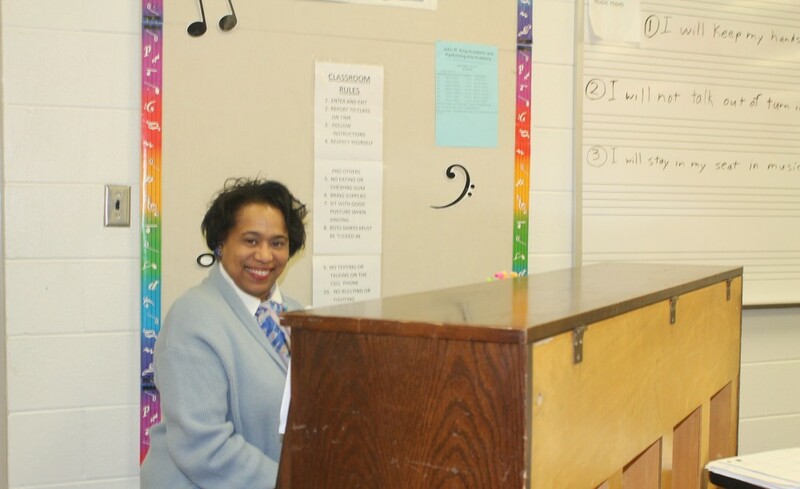 Today, she’s a student at nationally-recognized Renaissance High School, Detroit Public Schools’ top-performing high school, where she is soaring academically and planning for college with a double-major in business and music. 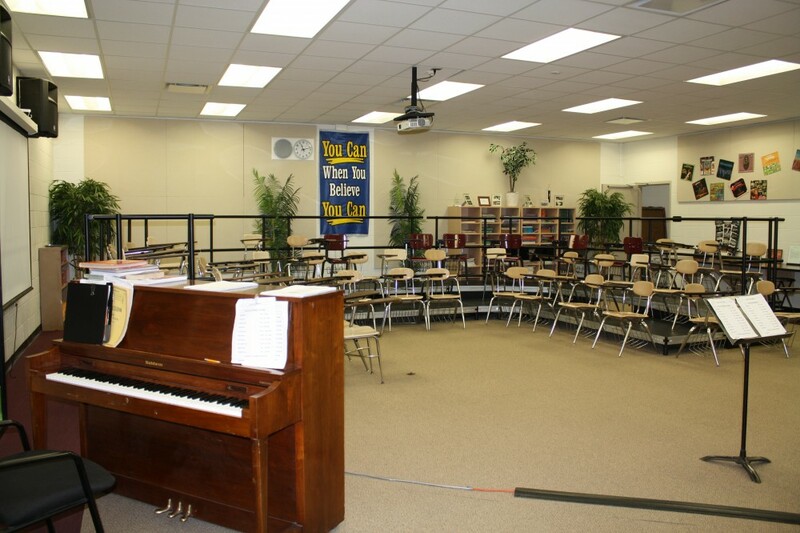 Performing arts opportunities are part of the fabric of J.R. King, said Principal Felicia Cook, sitting adjacent to a baby grand piano in one of the school’s music rooms. 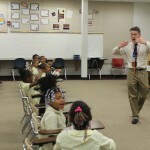 Beginning in kindergarten, students have vocal music courses. 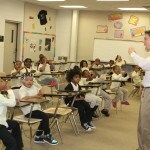 By the time they are in middle school, they can participate in the acclaimed Angelic Chorale, which has also performed across the state and at the White House. 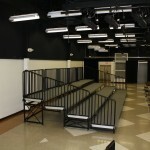 Students can also opt to take dance or drama, where they perform in the school’s Black Box Theater. 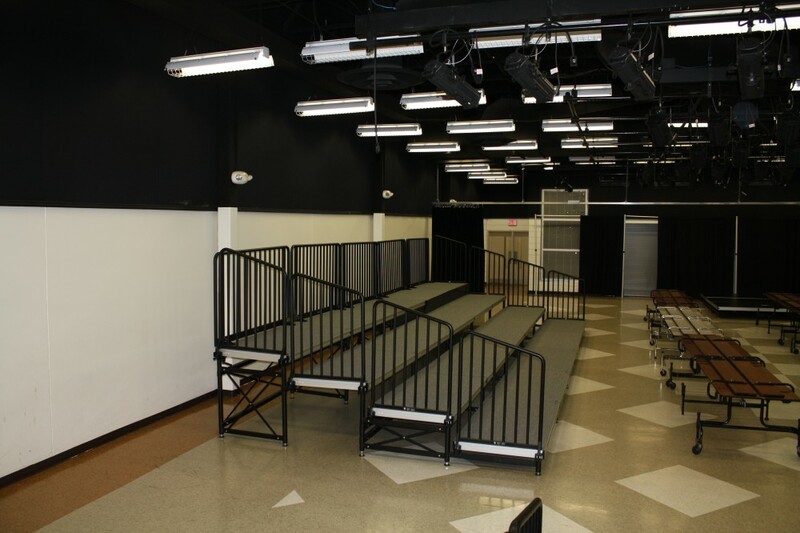 The state-of-the-art 5,514-square-foot theater, which incorporates dramatic overhead lighting for plays, recitals and concerts, was part of a $10.7 million renovation of John R. King in 2010. 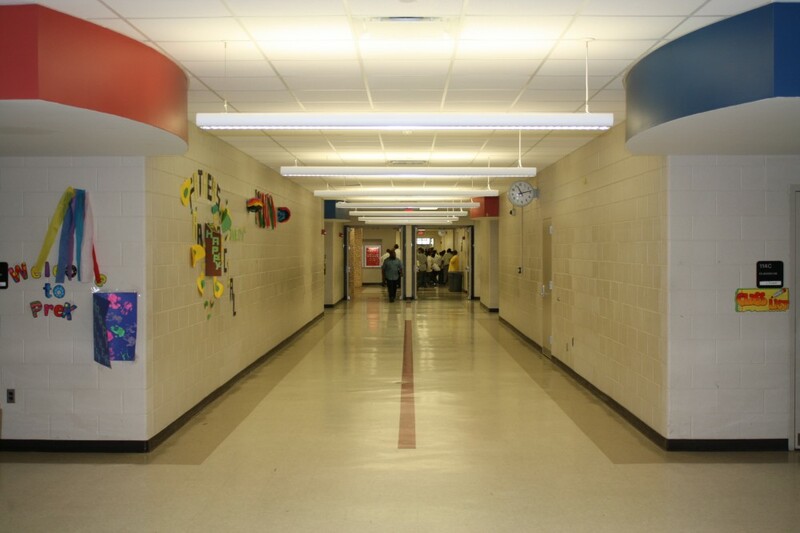 The renovation also included the new Rosa Parks Atrium, new science and technology labs, new playground equipment, bright paint and tile flooring, new light fixtures in classrooms, a refinished gymnasium floor and more. 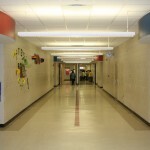 Cook, who plans to expand the school’s renowned performing arts offerings, is quick to point out that J.R. King also has a reputation for providing a strong academic program and a caring, dedicated staff, both of which attract families. 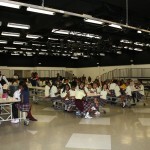 To that end, the school increased its enrollment last year. 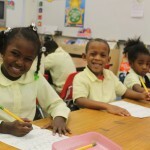 This was a considerable feat given that more schools continued to enter the city’s educational landscape while the overall population declines. 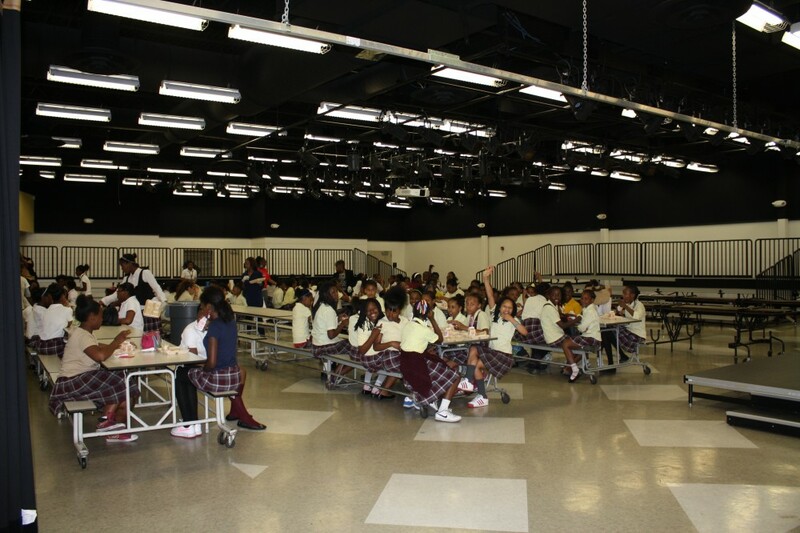 Other attractive opportunities include extra-curricular activities like Girls and Boys Basketball, Junior National Honor Society, and a new Student Council, which Cook started this year because she believes students should have a voice. 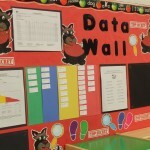 Cook and her teachers embrace a collaborative learning approach with a schedule that builds in plenty of time to create learning communities across subjects, she said. “We all have to be on the same page to build a synergy and energy that meshes,” she said. 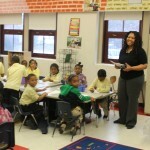 Teacher Lisa White-Berry said she is constantly weaving fine arts instruction into her English Language Arts lessons. She embraces the philosophy that ‘anything that is worth teaching can be presented in many ways,’ a teaching theory by Howard Gardner. Gardner, a psychologist and Harvard professor of cognition, believed people have multiple intelligences and use different cognitive means to process information. “Children need to have as many opportunities to become successful as possible, because students must not be limited when opportunities are available to exhibit mastery, and because all students may be different kinds of learners or have different skills and talents,” she said. 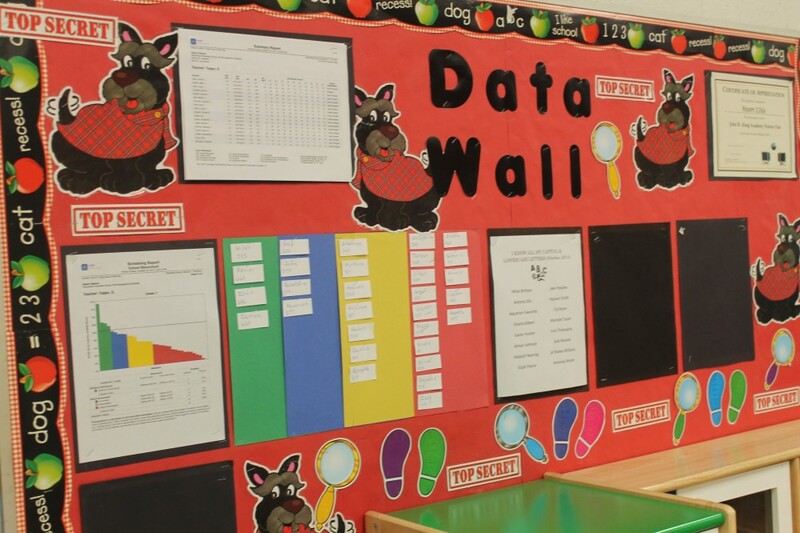 At the upper grades, in particular, the school infuses hands-on learning throughout the curriculum that incorporates lots of inquiry-based instruction. 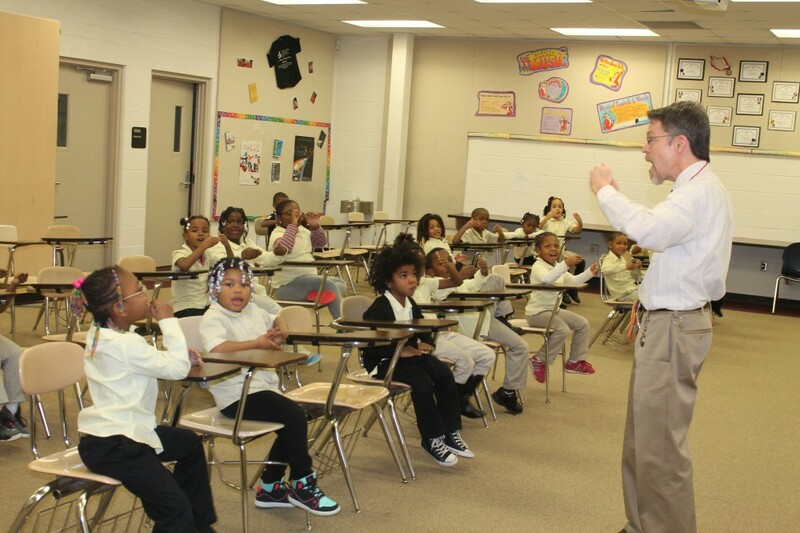 “We want our students to think deeply and ask lots of probing questions,” Cook said. 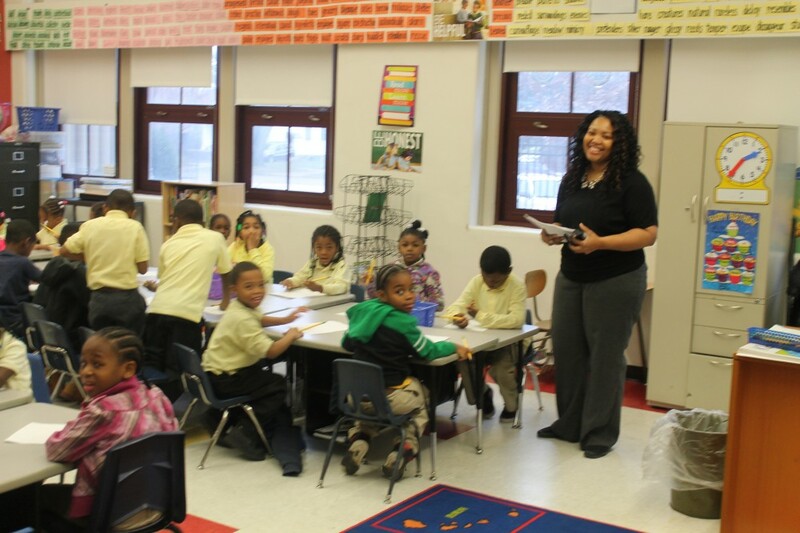 In White-Berry’s classroom, students have a variety of options in which they can work toward mastery of a lesson: students may read alone, conduct pair reading, engage in small group reading, or do “picture walks” as others read. 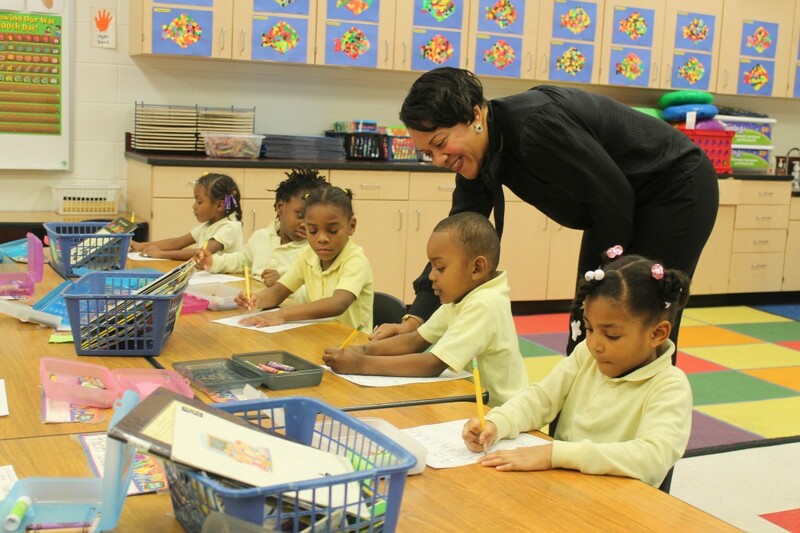 Through “picture walks,” students may join her at a workshop table for a guided reading lesson which may evolve into an art lesson – “read it, draw it or draw it, read it,” she said. “I use probing questions to model inquiry skills and to better understand my students — each and every child. As a child, I was often that daydreaming or bored student hoping to remain invisible. 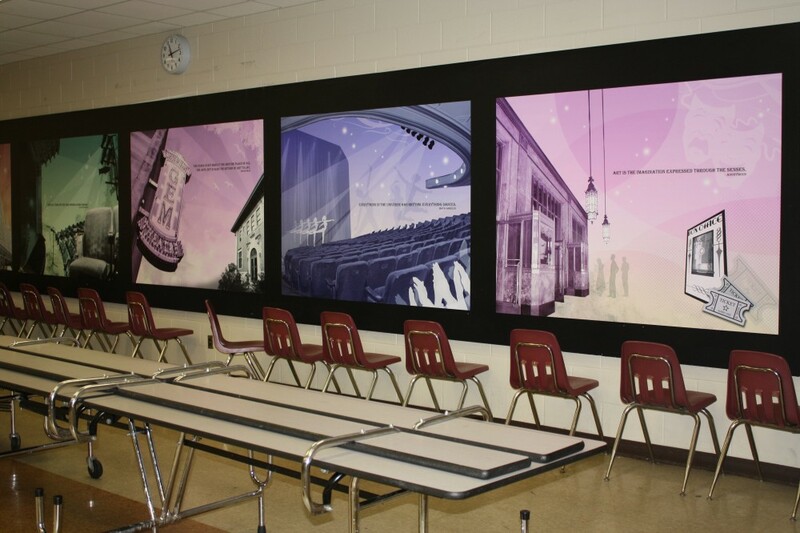 I remember light bulbs turning on when art was mentioned,” White-Berry said. 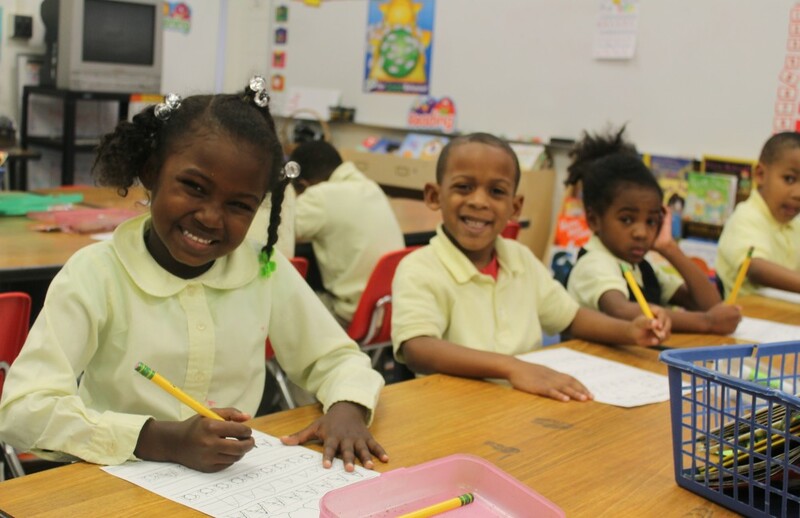 Tending to each child’s needs is key at J.R. King, where a new Reading Recovery program also provides intensive small group instruction targeted at students in first grade to help improve their reading skills. 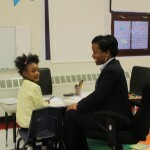 Markeeta Burr, one of the school’s two dedicated Reading Recovery teachers, works individually for 30 minutes each day with four students and later engages in small group instruction with three groups of three students each for 40 minutes each. 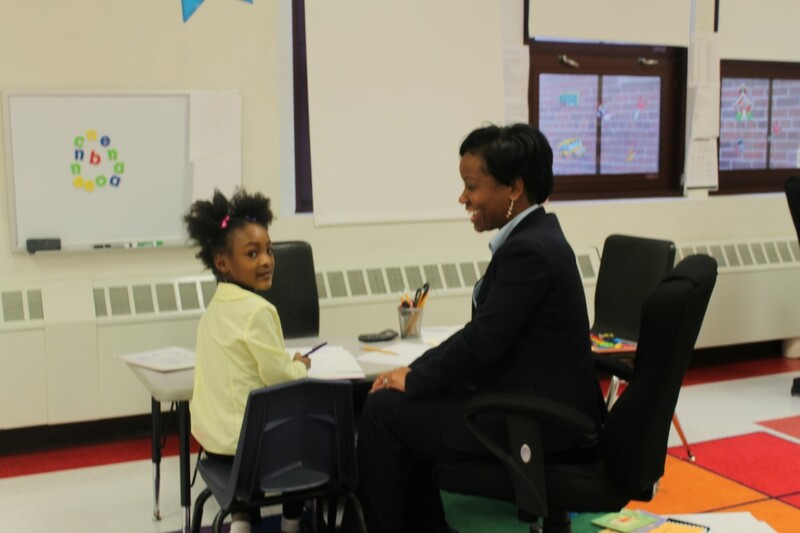 Such focused, individualized instruction has helped the students demonstrate a dramatic difference in reading levels in the last two months, Burr said. 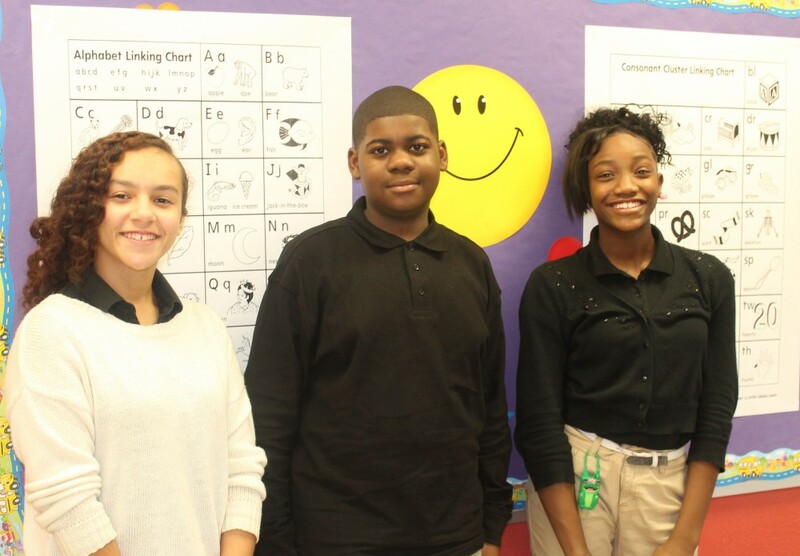 Eighth grader Brooklyn Niang, who sings in the Angelic Chorale, but counts English Language Arts as her favorite subject, said J. R. King’s teachers push students to find their creativity and to excel in all subjects. 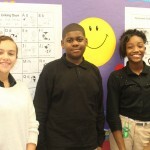 With a 3.7 grade point average, she said J.R. King’s teachers have prepared her so she is confident she will excel on the examination test to attend Renaissance or Cass Tech High School. “They’ve given me the best education I could possibly have,” replied Brooklyn. Something you didn’t know: Naima Mora, winner of “America’s Next Top Model” cycle four, is a graduate of J.R. King. 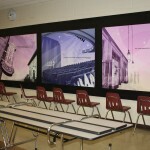 This entry was posted in Featured School, Info News Center, News and Press Releases, Student Showcase and tagged 201.